: We’re thrilled to re-launch our core training for Google Web Designer, entitled “Get started with Google Web Designer”. This new Learning path and Achievement program has launched exclusively on Academy for Ads, Google’s hub for on-demand advertising training. 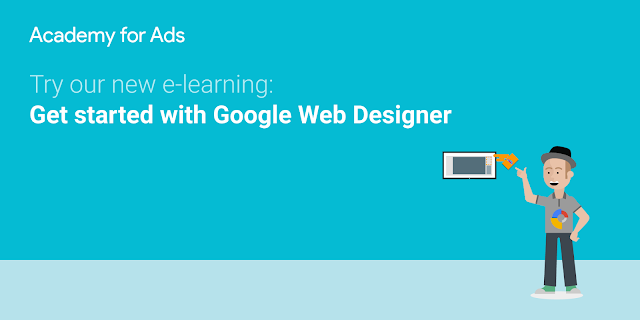 Take the training today to learn the ins and outs of building HTML5 ads with the tool. Block off a couple hours to take the full learning path to develop the expertise you need to use Google Web Designer to the fullest. Google Web Designer training re-launches: We’re thrilled to re-launch our core training for Google Web Designer, entitled “Get started with Google Web Designer”. This new Learning path and Achievement program has launched exclusively on Academy for Ads, Google’s hub for on-demand advertising training.